WHAT DO YOU LEARN IN YOUR CELLO & STAND UP BASS LESSONS? That question is often asked by prospective students. 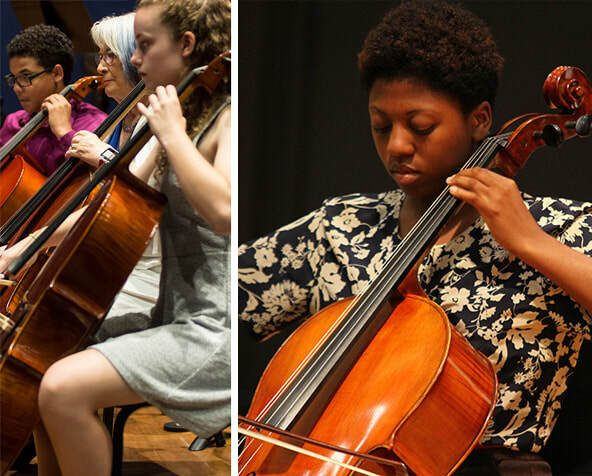 Our cello and bass teachers make it a priority to get to know you on a personal level and to become familiar with your personal musical needs and goals. A seven year old having their first cello lesson will have very different needs than a fifty seven year old taking up piano for the 2nd time after having had lessons as a child. If you enroll here for cello or bass lessons, we will work with you to make a plan that will fit your needs and musical preferences. At the first lesson your teacher will ask you about your favorite type of music, and set goals to help accomplish whatever musical aspirations you have for yourself or your child.